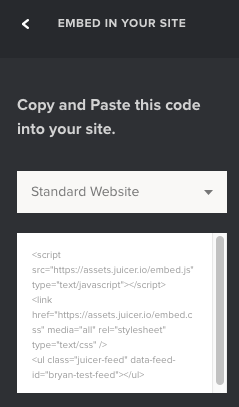 If you have a Wordpress website, there are two ways you can display Juicer. We go more in-depth on our blog here, but the basics are below. The second option is to install the Wordpress plugin for Juicer. You can download the plugin here. Once unzipped, upload the full folder into the plugins directory of your Wordpress site (it should be /wp-content/plugins). More detail is included on our blog here.